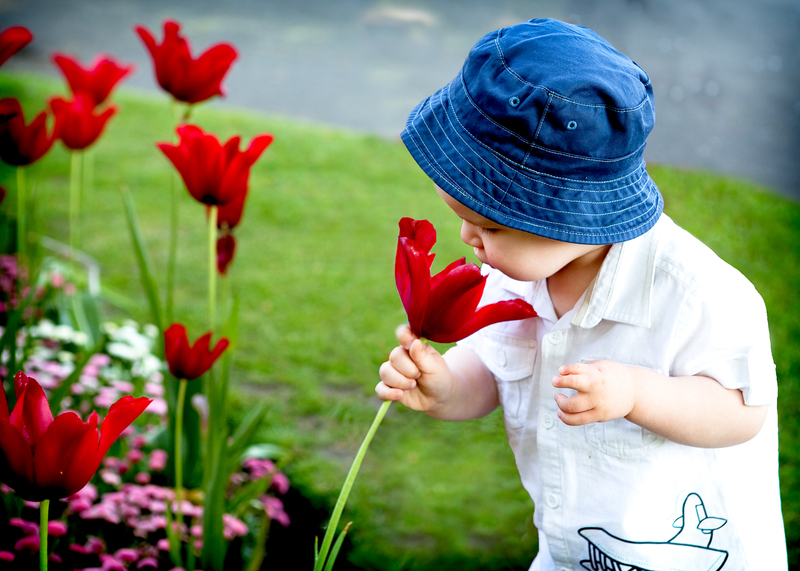 Welcome to our site and stay a few minutes to take a look around The beautiful little boy in the picture is our inspiration for PIP-UK – Poland Syndrome Charity. There are many children born in the UK and across the world with a rare syndrome called Poland Syndrome. Very little is known about Poland Syndrome and it’s hard to find the right people in the know in the medical community. At PIP-UK we want to change this situation and make sure people get access to the right information for them, at the right time! Our blog has videos on all sorts of things like how to tie shoelaces. There are stories which demonstrate that Poland Syndrome should not hold you back from anything! What is Poland Syndrome? Poland syndrome is visibly seen by a smaller hand (which may include webbed fingers at birth) and this is frequently accompanied by an under-developed chest on the same side. The degree of severity of Poland Syndrome and it’s symptoms differs between people but thankfully for the majority of people it is not life threatening. Poland Syndrome is often not diagnosed at all. In fact since the inception of PIP-UK we have come across many stories of people who were well into adulthood before they even knew they had Poland Syndrome. We want to change this situation and so we set up PIP-UK to raise awareness of Poland Syndrome. To get in touch with us drop us a line using our contact form. 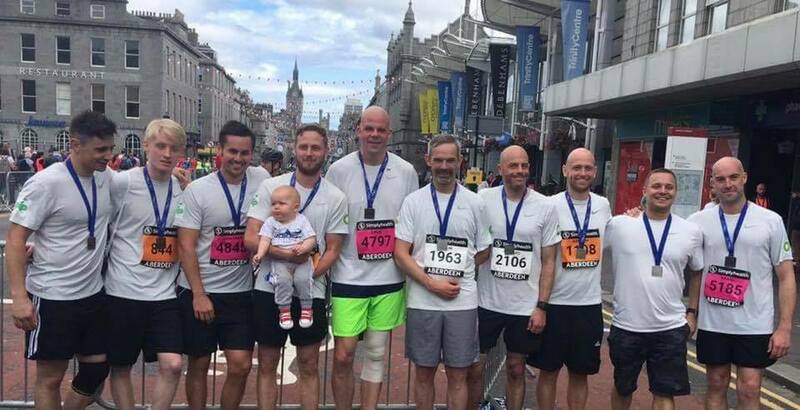 PIP-UK website built thanks to ETAP Friends and Family – in 2017 the Woods family contacted PIP-UK about their lovely little boy Reo, the family then went on to raise an amazing £14,277.50 for PIP-UK. The funds raised have paid for the website and are funding the 2019 family day as well as many things to come. We are so very grateful to all the ETAP Friends and Famiy for their continued support. We have now booked a venue in central Manchester and have opened up our tickets. 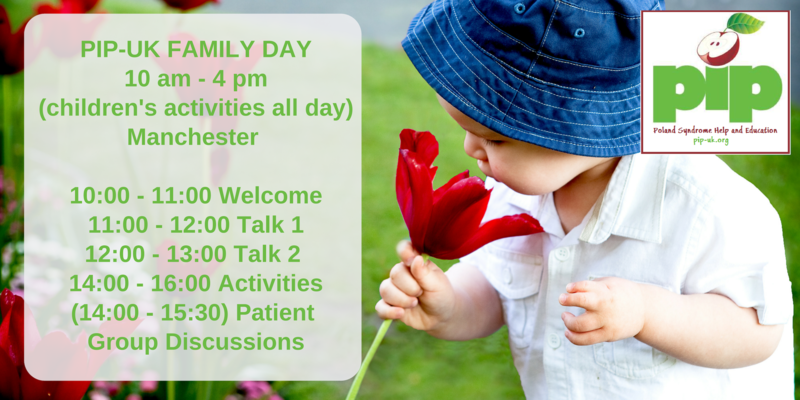 We have added details of our intended agenda, there will be fun and activities throughout the day to keep the little ones occupied and plenty of opportunities for tea/coffee and informal conversations with other people from the Poland Syndrome community. Helping those with Poland Syndrome Smile Your donations helped us create this smile! Isn’t it wonderful? This is Hunter. Hunter has Poland Syndrome and a particular type of Autism. 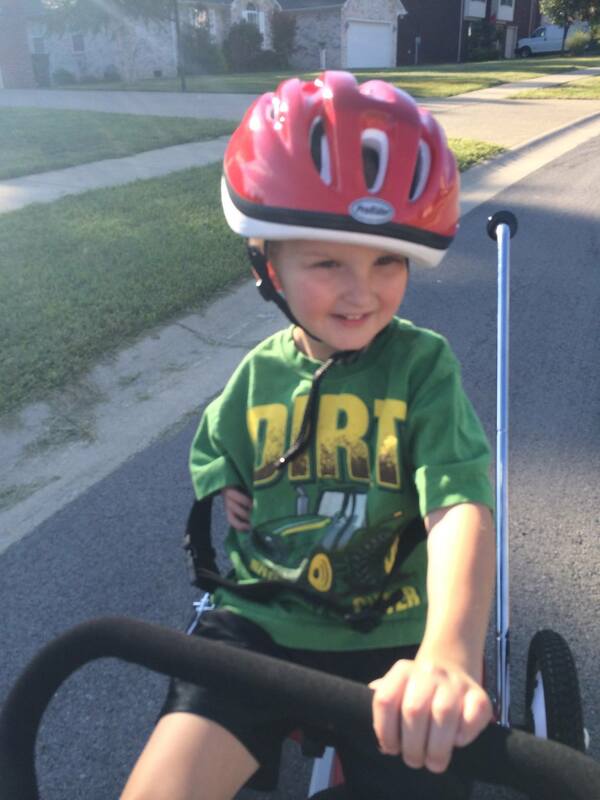 Hunter needed a special bike and his family were raising funds. Due to your generosity we were able to help out. If you’d like to help continue to create smiles like this (we certainly do) then please visit our donate section to find out how you can help A huge thanks to everyone who helps to raise money we couldn’t run this charity without your thoughtfulness and kindness.